The Expozine Alternative Press Awards recognize the best publications that were on display at Expozine in the fall of 2012. 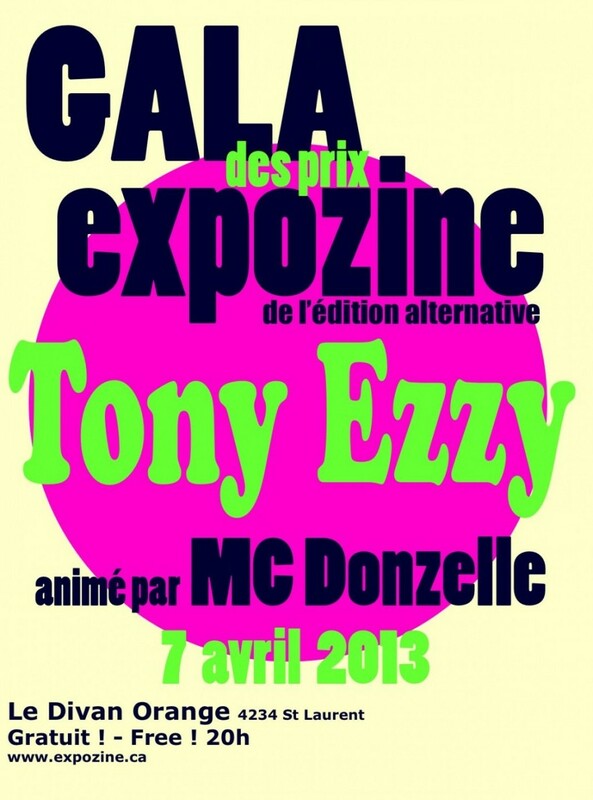 The Awards Gala took place on Sunday, April 7, 2013 at Le Divan Orange. Montreal’s fantastic rappeuse Donzelle was the MC for the evening, which culminated in a performance by Montreal’s premier paramour of “Weird Funk”, Tony Ezzy! Click here for more info! This entry was posted in Other Awards by Kevin A. Boyd. Bookmark the permalink.